We have discussed the Privila network on Light Blue Touchpaper before. Richard explained how Privila solicit links and I described how to map the network. Since then, Privila’s behavior has changed. Previously, their pages were dominated by adverts, but included articles written by unpaid interns. Now the articles have been dropped completely, leaving more room for the adverts. This change would appear to harm Privila’s search rankings — the articles, carefully optimized to include desirable keywords, would no longer be indexed. However, when Google download the page, the articles re-appear and the adverts are gone. The web server appears to be configured to give different pages, depending on the “User-Agent” header in the HTTP request. Curiously, the Windows Live Search, and Yahoo! spiders are presented with an almost empty page: just a header but neither adverts nor articles (see update 2). You can try this yourself, by using the User Agent Switcher Firefox extension and a list of user-agent strings. I expect the interns who wrote these articles will be displeased that their articles are hidden from view. Google will doubtlessly be interested too, since their webmaster guidelines recommend against such behavior. BMW and Ricoh were delisted for similar reasons. Fortunately for Google, I’ve already shown how to build a complete list of Privila’s sites. It looks like Google has removed the Privila sites from their index. 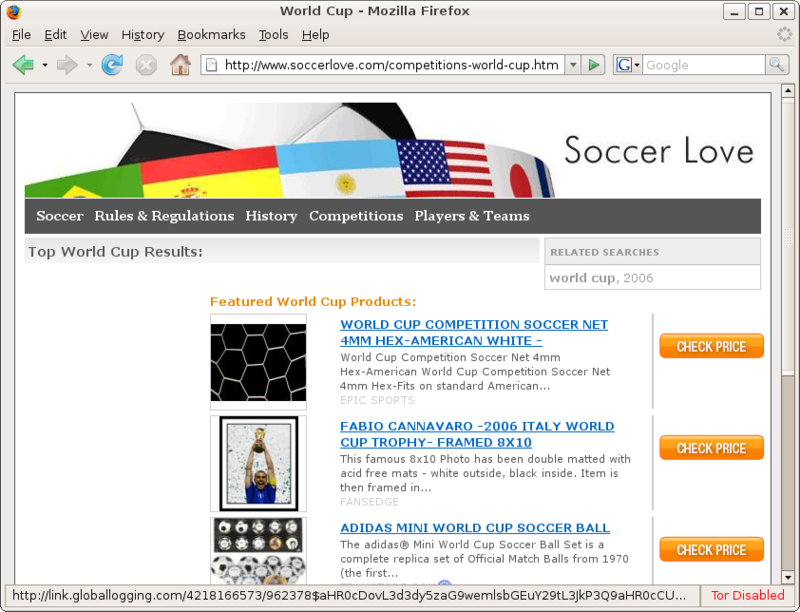 For example, searches of soccerlove.com, ammancarpets.com, and canadianbattery.com all return zero results. Privila appear to have fixed the problem that led to Yahoo! and Windows Live Search bots being presented with a blank page. Both of these spiders are being shown the same content as Google’s — the article with no adverts. Normal web browsers are still being sent adverts with no article. 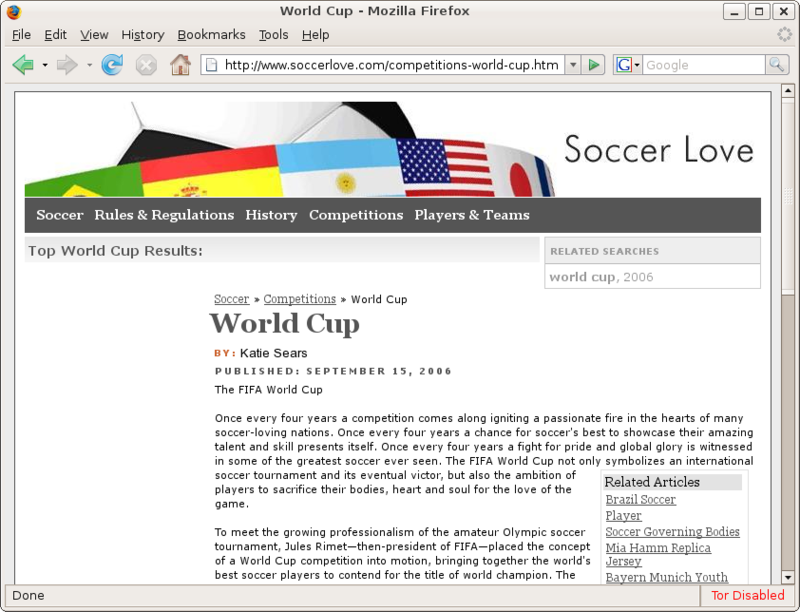 Shortly after the publication of an article about Privila’s browser tricks on The Register, Privila has restored articles on the pages shown to normal web browsers. Pages presented to search engines still are not identical — they don’t contain the adverts. Are these in any way related to the pingback sites that replicate a subset of content from my blog with a link back and a smattering of other links? For example, medtrials [dot] info? I’m not aware of any direct connection. As far as I know, Privila only produces websites like the ones we have pointed out — original content, posted with permission of the author. Replicating content from a blog is dubious from a copyright perspective, unlike Privila’s activities. Still, both classes of sites feed from the AdWords (and similar) infrastructure, so are related in that sense. Its interesting that you didn’t dig deeper in to the company. Who exactly is Domain Holdings? One has to ask how much this “scam” netted them in google advertising dollars. One also has to ask, will google sue to get their money back? Assuming of course that this scam was targeting Google for ad revenue. In addition, they sold advertisments from their Domain Holdings web site, so were they scamming google or possibly their own customers? privila is nothing against the big spammers. i mean at least they have _real_ content not just generated trash in their sites. take all those spammers and scammers and whatnot together, 300 domains is nothing… there are people ordering 300 domains on a single day and spam the hell out of it. i really think you blow up the whole thing a bit to much. yes, they have ads on their page but look at big pages like zdnet, cnet, myspace and even facebook applications have more ads on one single page then those privila sites. and even the trick to hide the content if the user agent is google… i mean that could have other reasons too because if they want to scam google why dont they do the same with MSN or Yahoo? think about that.